Ahmad spends his days sifting through the rubble of destroyed houses, searching for bits of scrap metal and gravel to sell. 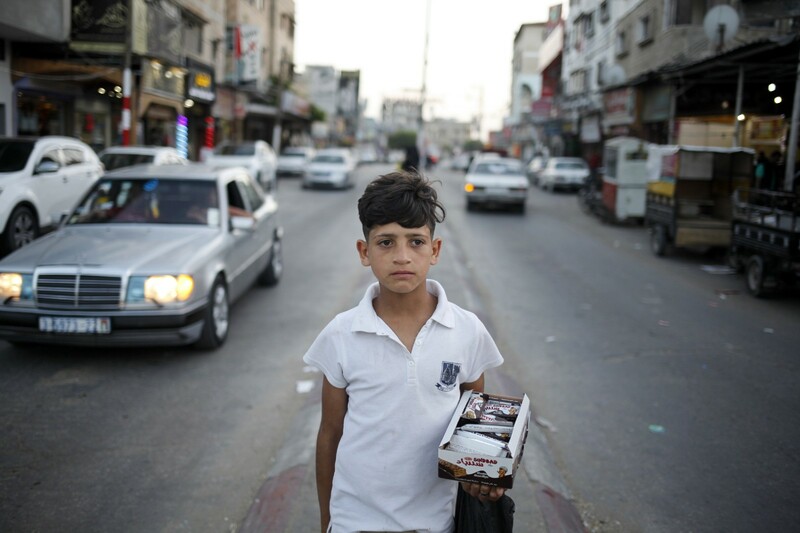 Thirteen-year-old Ahmad doesn’t go to school. Instead, he goes to work. Hard, back-breaking work. “Every day I go and look for scrap metal and gravel in the rubble of the houses which were destroyed in past wars,” he says. 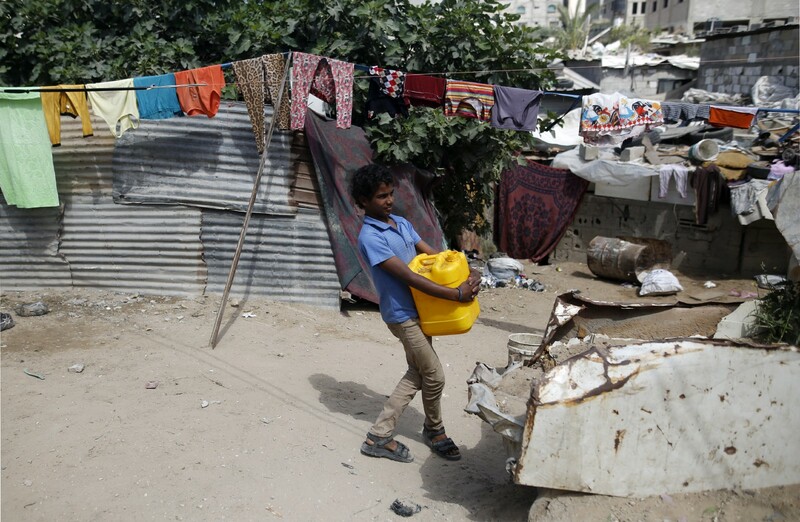 Nearly 40 percent of Palestinian families in the Gaza Strip live under the poverty line, and almost three-quarters of families rely on some form of external aid. The work is tough on both Ahmed and his donkey. But every day he returns to his job, in an effort to make life ever-so-slightly easier for his family. Ahmad’s father is ill and unable to work, and while the family receives assistance from charitable organisations, it still isn’t enough to make ends meet. 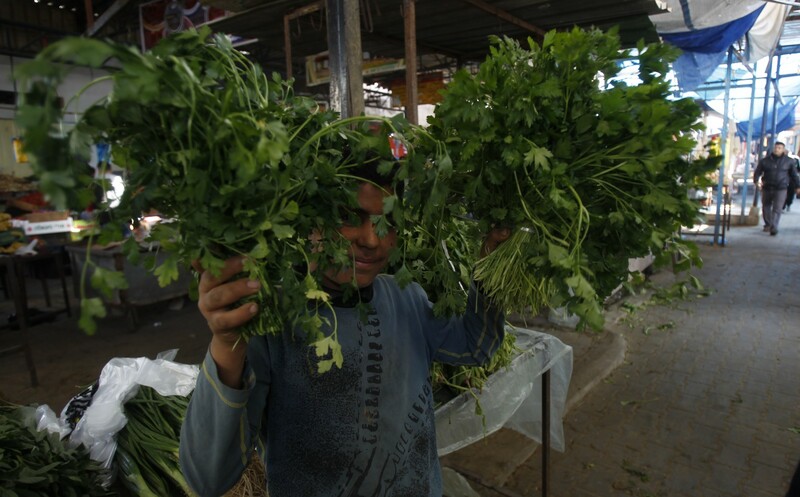 Like many families living in Gaza, there is little that is easy in their daily routine. The family’s tin-roofed shelter isn’t connected to the water network, so every drop must be lugged from the nearest water source in heavy jerry cans. That task again falls on Ahmad and his brothers, in addition to their work. Ahmad is one of the many thousands of children who have given up on education in order to earn some small additional income for their families. 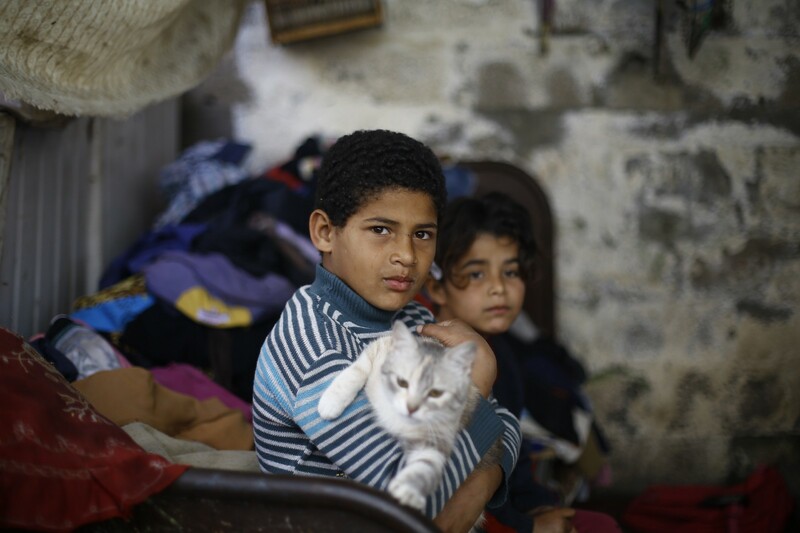 In the very poor area of Gaza City in which they live, Ahmad’s ten-year-old brother Ibrahim strokes his cat. The family is too poor to buy toys, but they have a number of pets he can play with. Ibrahim often joins Ahmad at work after finishing his day at school. “My dream is that my family and I will move to a clean, big house, and that I will have nice clothes,” he says. 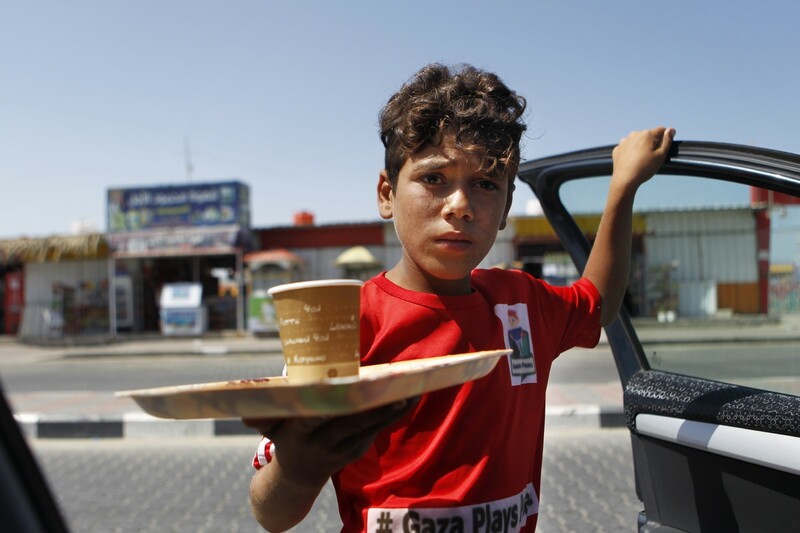 Child labour rates have doubled over the last five years as economic conditions in the Gaza Strip have deteriorated. It’s an increase that goes against international trends: in 2013, the International Labour Organisation said that the number of child labourers worldwide had fallen by a third since 2000. In an effort to address these rates, UNICEF is working with vulnerable children in Gaza, including those involved in child labour. It supports 20 family centres throughout the Gaza Strip where child protection counsellors and case managers are present. I have 12 brothers. We all live in a very simple house. My dad is unemployed so two years ago, I left school to work. I am the oldest, and the only breadwinner in the family. Once a child has been identified, they are assisted back into the education system, and sometimes offering vocational training. Services are even extended to families — showing them how to access short-term job opportunities or small businesses schemes. 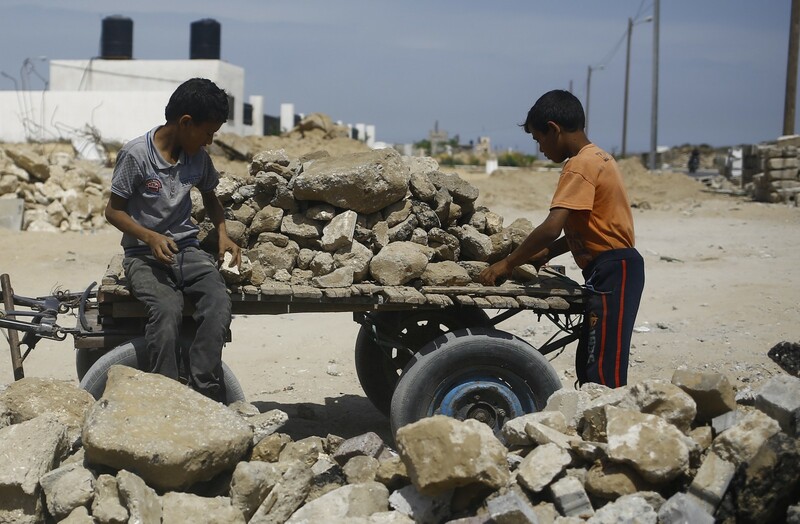 But even so, after years of displacement and disruption, Gaza’s problems will take time to fix. For many of these children, it is unlikely they will return to school. Yunis is just thirteen, but has already been working for two years. “I have 12 brothers,” says Yunis, “we all live in a very simple house. My dad is unemployed so two years ago, I left school to work. I am the oldest, and the only breadwinner in the family,” he says. The key to ensuring a brighter future for these children is by providing them with an education. Without that support, children like Yunis will face a lifetime of eking out whatever meagre income they can.